Update2: A Biden spokesman said on Friday that the former Vice President doesn't remember the alleged 2014 incident. Of course - he did appear to take a long, unsolicited sniff of Eva Longoria's hair at the same event. 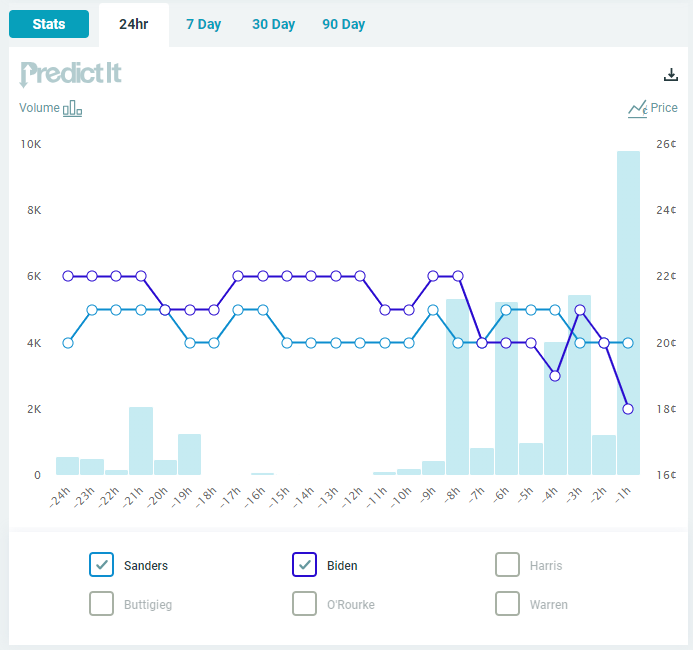 Update: Biden's odds of winning the Democratic presidential nomination according to PredictIt have dropped considerably since Flores' article came out, putting him behind Bernie Sanders. 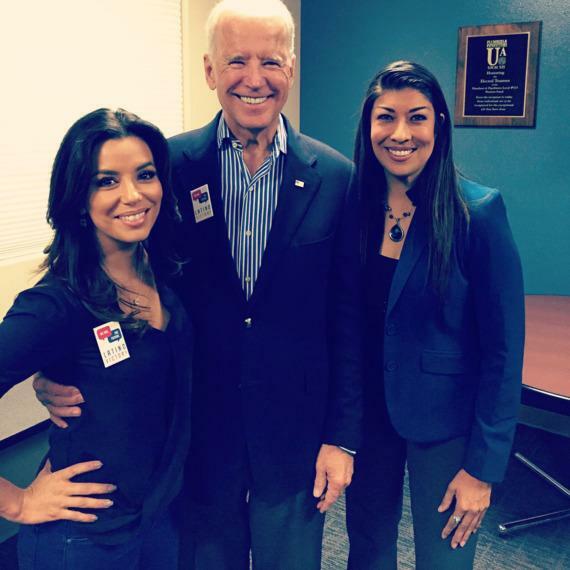 Former Democratic nominee for Nevada lieutenant governor Lucy Flores has accused former Vice-President Joe Biden of smelling her hair before planting a "big slow kiss" on her head in what has become somewhat of a predatory trademark maneuver. The day of the 2014 rally, speakers gathered and took photos before going on stage. Flores (right) is pictured with Longoria and Biden before the uncomfortable encounter. Flores notes in her article how after some time had passed, "pictures started to surface of Vice-President Biden getting uncomfortably close with women and young girls."